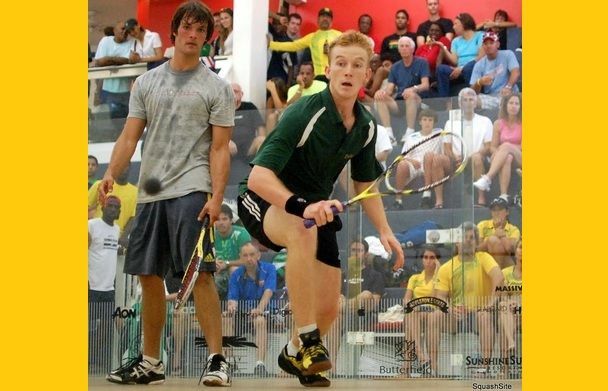 ROAD TOWN, Tortola, VI – Virgin Islands' squash player Joe Chapman lost in straight sets to Valentino Bong in the final round of qualifying at the Ganem Vein Institute’s Cactus Classic in Phoenix on Wednesday February 10, 2016. Canada’s David Baillargeon earned his place in the main draw of the Ganem Vein Institute Cactus Classic, PSA M15 event after a hard-fought clash with Malaysia’s Addeen Idrakie in the final round of qualifying. Valentino Bong fared better than compatriot Idrakie as he swept past top qualifying seed Joe Chapman,12-10, 11-9, 11-6, in just 34 minutes to seal his spot in the first round of the main draw. Bong took advantage of an out of sorts Chapman to wrap up the victory in straight games and he will go head-to-head with Qatar’s Abdulla Mohd Al Tamimi in round one. 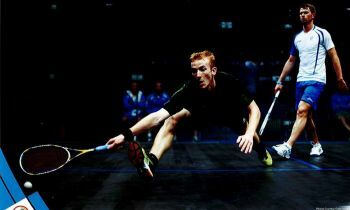 Elsewhere, Ireland’s Sean Conroy came through a tough 74-minute fixture against Reuben Phillips to move in to to the main draw where he will line up against Reiko Peter for a place in the quarter-final. Clinton Leeuw and Mark Broekman went up against each other in the other final qualifying round clash with the former prevailing to claim a main draw spot against Henrik Mustonen in the next round. The opening round of the Ganem Vein Institute Cactus Classic, PSA M15 event saw the majority of the seeded players move through to the next round with comfortable victories over their lower-ranked opponents. Top qualifying seed Joe Chapman, the 25-year-old from the (British) Virgin Islands, defeated home hope Sam Gould in three, 11-8, 12-10, 11-4, despite being taken to a tie-break by the man from Boston. where are the youths from the 7th doing tennis? Always continue to do your very best Joe. Do not give up, do not give in. Stay positive. Be safe.